The Prize Giving Ceremony for the 6th Annual Digital Essay Competition (DEC) for Secondary School in mainstream and learners with disabilities was held on Wednesday 26th September 2018 from 10 am to 1 pm during the Nairobi International Book Fair at Sarit Center, Westlands Nairobi. In attendance were invited guests, partners and sponsors, publishers, parents, teachers, students, among others. This year we received over 13,000 essays from students across the country representing a 146.3% increase from 5,305 submissions in 2017. All Winners and Finalists were awarded Computer Devices, Scholarship Money, Gift Hampers, Certificates, Public Recognition among other gifts. This year, students were answering the question: “How can technology bring us closer to quality education for all Or Ni vipi teknolojia inaweza kutufikisha karibu na elimu bora kwa wote OR Comment la technologie peut-elle nous rapprocher d’une éducation de qualité pour tous? 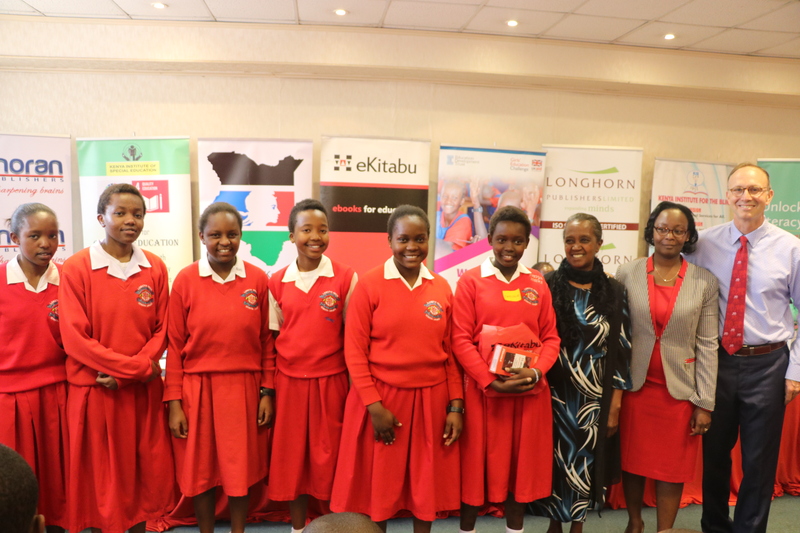 Participating students came from 358 schools in 44 out of Kenya’s 47 counties.